TGIF! Yes indeed, and we’re starting the weekend off by drinking to MOTHER NATURE! Enjoy of glass of her champagne and reap the goodness. 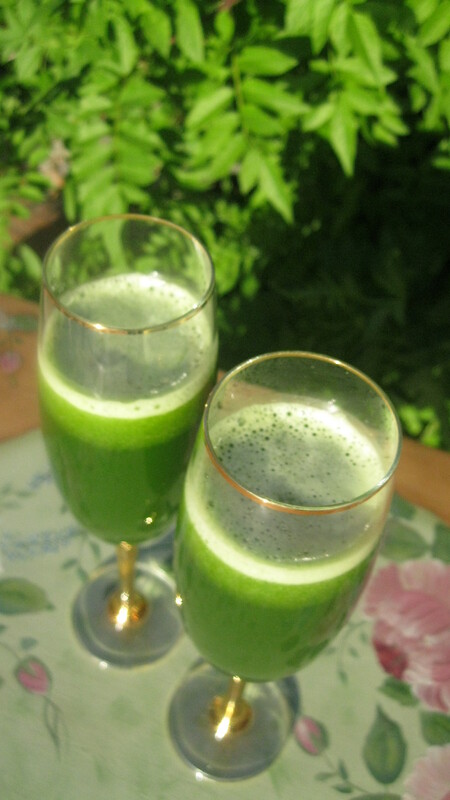 This green juice we made this evening consists of 1 head of Hearts of Romaine, 1 English cucumber, and 1 rutabaga. It is so delicious…sweet & smooth. What do you get when you cross a turnip with a cabbage? Any bunny will tell you, a rutabaga! The name “rutabaga” comes from the Swedish word “rotabagge.” “Rota” means “root.” It is often called Swedish turnip. I never knew, did you? Try eating rutabaga for constipation. I hear that due to their mustard oil content, they can cause gas, uggg. I also read that they should not be consumed by anyone with kidney troubles. They have a rich vitamin C content which is known to help reduce the breathing difficulties in asthma patients. I wish I would have known this while raising my son, who was born with bronchial asthma. Here’s a good one for my two daughters who are with child, rutabaga stimulates milk production and also enhances digestion and stamina. It is rich in potassium, which goes hand in hand for decreasing risk of heart stroke. It also helps in lowering high blood pressure. Wow…what a plethora of health and wellness in just one of the many foods we’ve been blessed with on this earth. The English cucumber, similar to the Persian cucumber, has thinner skin and few and smaller seeds (seeds are the source of the sometimes bitter taste in a cucumber), try these wholesome goodies in your next salad – Mmmm! They are easily digested, and can quench your thirst. What a refreshing treat just in time for summertime! Romaine lettuce is rich in vitamin C and beta-carotene which benefits the heart. It’s fiber helps keep the digestive system healthy. It lowers cholesterol by helping the body to make more bile. Plus, they are rich in potassium which is another heart healthy nutrient and aids in lowering blood pressure. 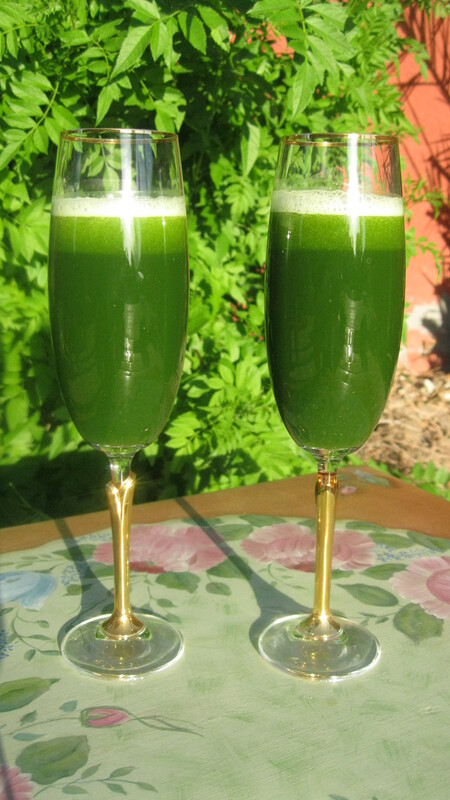 So, what can we learn from this “green” juicing delight? Once again, we have discovered that everything we need to maximize a healthy body is, and always has been, right outside the back door in the vegetable garden! Mother nature does the work and we reap the many, many health benefits. Now that is a great deal. GREEN ME-gan love to you!